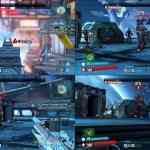 When the first Borderlands was released in 2009 2k Games seemed to have a hit under their belt, and the sequels, Borderlands 2 and Borderlands: The Pre-Sequel, proved this as vault hunters everywhere continued to play them. 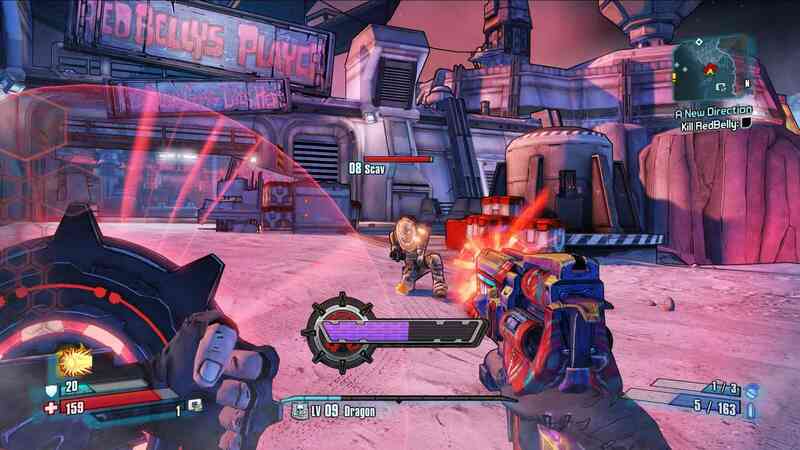 All three games were released on last-gen systems, while those looking for some Borderlands love on current-gen systems were somewhat left in the cold minus Telltales recently released Tales from the Borderlands, Chapter 1 and 2. 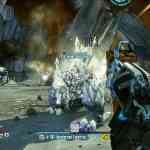 Well, 2k Games thought maybe they should bring some of the games to current-gen systems, and in Jan 2015, amongst rumours and innuendos, The Handsome Collection was unveiled and fans learnt that Borderlands 2 and Borderlands: The Pre-Sequel were coming to the Xbox One and PS4, with a few additions. 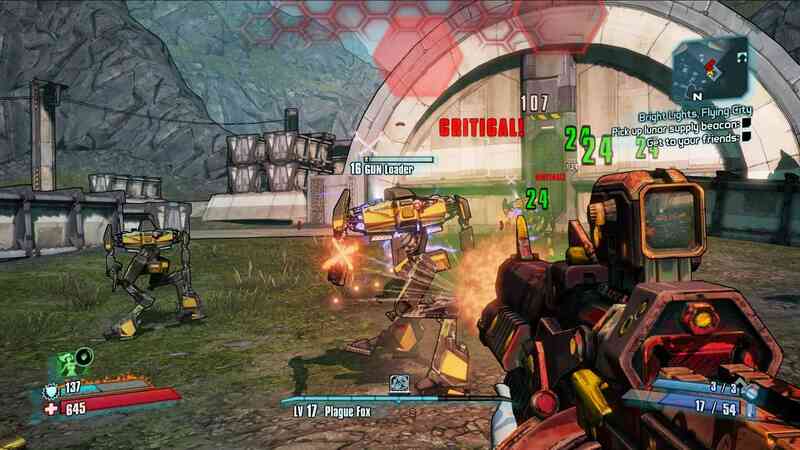 Borderlands 2 and Borderlands: The Pre-Sequel are follow-up games for the original Borderlands. 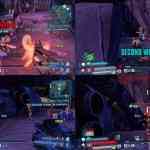 For those who have not played any of the games I guess we should get you caught up. 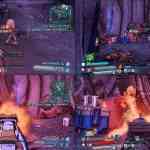 In Borderlands 2 you take one the role of one of four vault hunters who, for one reason or another, get caught up in the hunt for a mysterious vault which houses ancient and exotic technology. This vault has eluded so many people for so many years. You get caught up in a war with “Handsome Jack”, the president of the Hyperion Corporation, and a story that takes on many twists and turns unfolds in front of you. 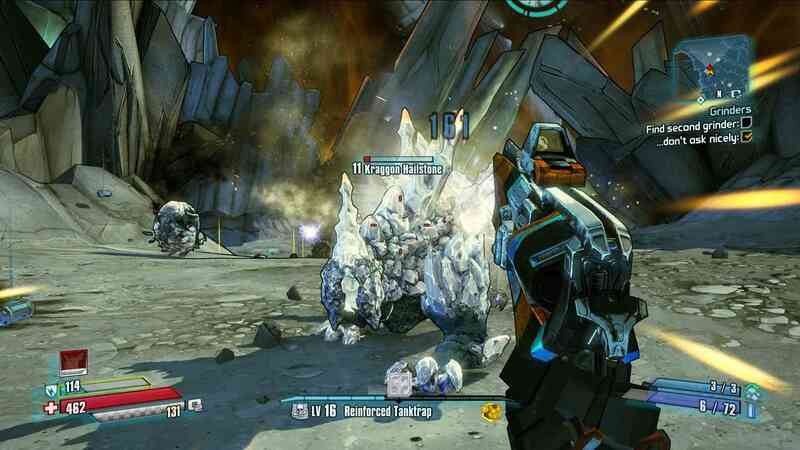 Borderlands: The Pre-Sequel tells a story that actually takes place prior to Borderlands 2. Confused? How’s this a sequel? Don’t worry, because it is and isn’t. 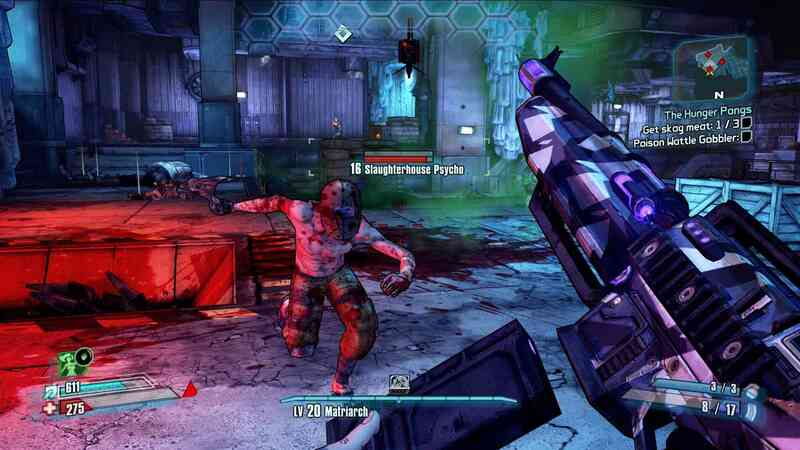 The best way to sum it up is that it sets up why Handsome Jack exists, why he became evil, and what led to Borderlands 2’s story. The two stories are very enjoyable, and the amount of humour in both is almost unparalleled. 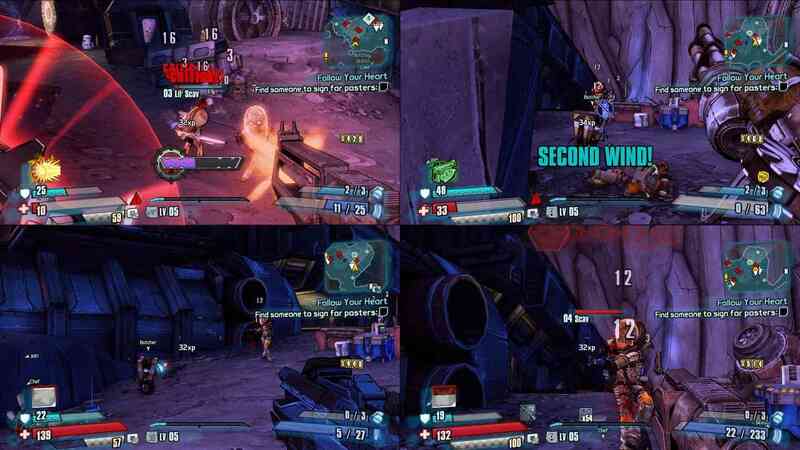 Although I played Borderlands 2 before, and am relatively new to the whole Pre-Sequel experience, both offered up many laughs and many adult oriented jokes or references. The whole “Rated M” thing is not just for the violence found in this game. 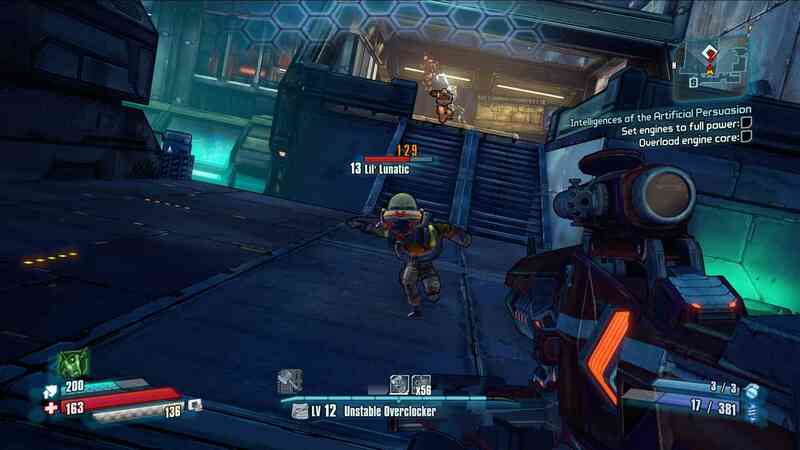 I found myself taken by both stories, but more so with Borderlands 2, but I have to say that 2k Games Australia did a good job of writing The Pre-Sequel and there is much enjoyment to be had in its narrative too. For quick reference, we have reviewed both games previously. I recommend that if you want to see the differences between the two games, and get a general understanding of each one in The Handsome Collection, you should check out our thoughts. 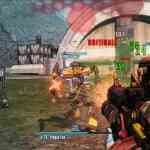 You can find our Borderlands 2 review HERE and our original review for Borderlands: The Pre-Sequel right HERE . These reviews are are based on the original stories alone with no DLC. Yep, that is a HELL of a lot of stuff. 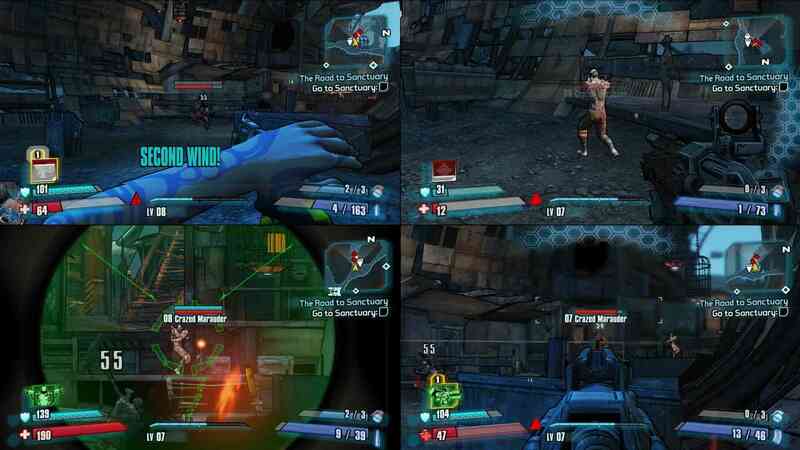 It takes each game’s regular gameplay length and launches it into the stratosphere. There are so many hours of story and DLC, the latter which usually has its own side story or focus, you can play for hundreds of hours. Now to be honest some of the DLC is not nearly as good as others, but hey, for the money you’re paying, and the ability to play through all of it by yourself or with friends, how can one not be happy with it.? I am sure that many gamers out there will find their favourite DLC too. 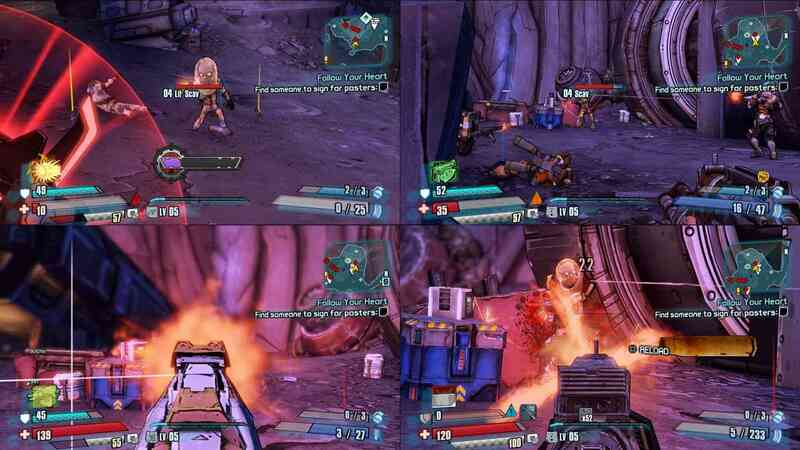 For me my favourite is Tiny Tina’s Assault on Dragon’s Keep. I loved the humour, the backstory, and the cultural references it brought to the table. That being said, I am sure many will find other DLC that will tickle their fancy too, with friends or alone. 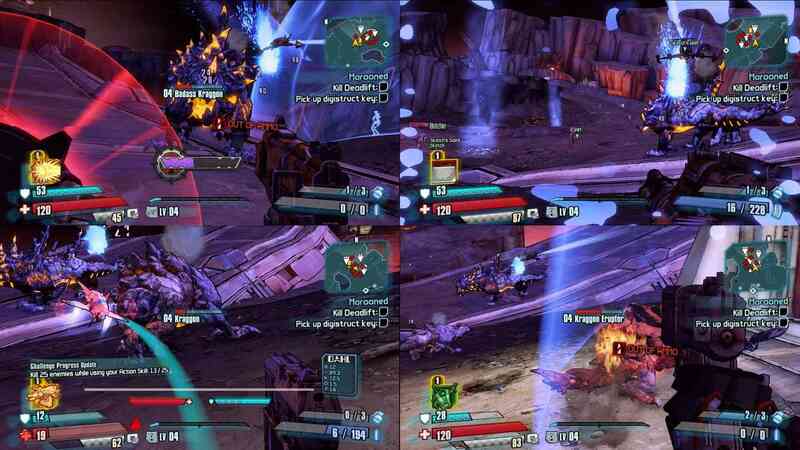 Speaking of playing with friends, one of the more notable additions to the world of Borderlands is the ability to play 4-player couch co-op. For those that just want to have a few friends over and hit the world of Pandora, the safe confines of Sanctuary, or the moon of Elpis, you can all do it from the comfort of one couch. Now I will be honest, I didn’t have four people who wanted to play on the same screen as me, but this option holds some attraction for people who may not own the game, or those who just want to chill with a friend, or three, while playing a game at their house. Sure, this isn’t a system or game selling feature by any means, but that doesn’t mean it’s worthless cause it’s not, as playing with friends in the same room can lead to total mayhem. 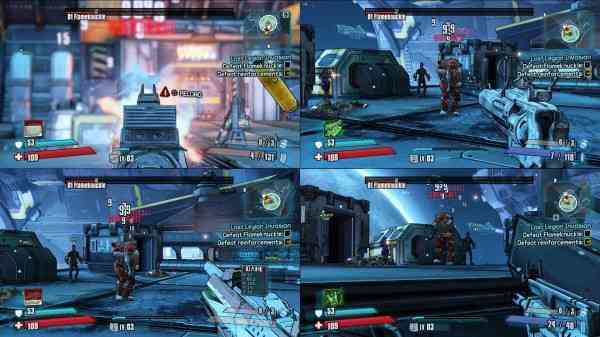 Along with the ability for 4-player couch co-op, up to 4 players can play online too, just like in the last-gen versions. Hooking up with three friends, or three strangers for the matter of fact with online match making, is yet another way to fully enjoy this game. Being able to help out another person, or get your own help, is another way that this game can really be enjoyed. From having people cover your back to you being able to provide weapons or gear for others that may need it, it can be rewarding. 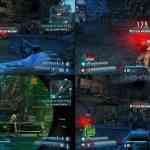 And what a great segway again….speaking of weapons and gear (e.g guns, shields, class mods, special items, etc. 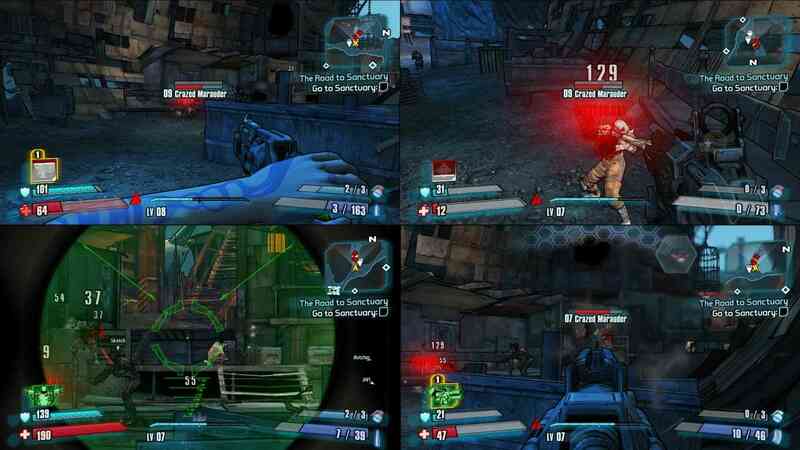 ), you’ll come across a lot of these items when playing, and that is part of the addictiveness of the Borderlands series. Whether you’ve played it before, or are a newcomer, you’ll be addicted to opening crates, boxes, safes, trashcans and of course weapon and gear chests trying to find loot. The colour of an item dictates the rarity, and you’ll learn through gameplay which ones are the best. 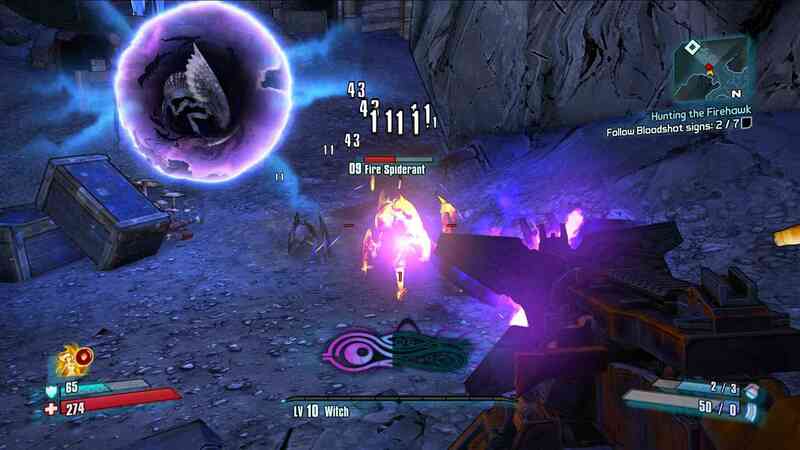 The rainbow of colours that can be found after killing an enemy, a boss, or opening a special chest, can be “skittle-rific”. It is a rewarding game and you won’t have to wait too long to get some pretty good items, unlike another popular shooter out there right now (*cough*…Destiny…*cough*). Visually speaking both games in The Handsome Collection have been brought into the world of 1080p/60fps (30fps when playing in 4-player split screen). They do look sharper than their previous versions, that is for sure, but it is not a night and day difference given how good they looked on last-gen consoles. Regardless, the art style is still unique and the use of colours, especially in The Pre-Sequel, is very impressive. Things look that much more crisp and move along at a nice clip. 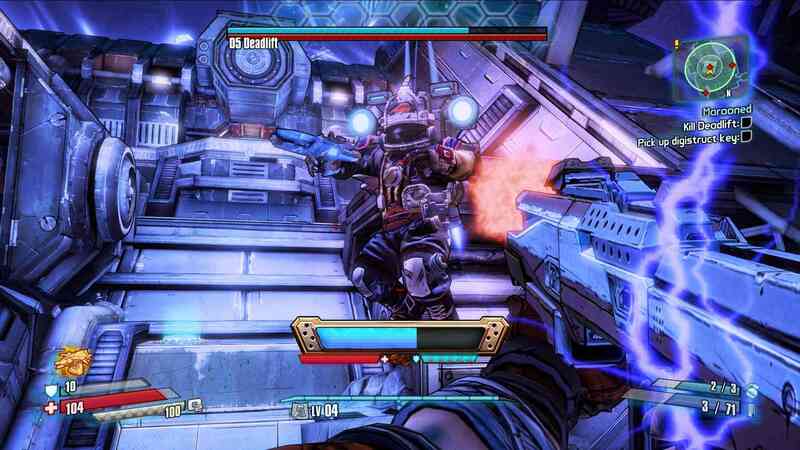 Characters are well animated and all that you would expect out of a crazy franchise like Borderlands is loud and proud on-screen. That being said, issues that did rear their head in the last-gen versions do carry over to The Handsome Collection. From finding myself getting caught on various objects in the environments to seeing some environmental draw-in and textures popping up as you get closer. I guess they didn’t totally retool the in-game engine, but as much as you can notice these types of things, they are far from a deal breaker. As for the audio, the voice acting alone is reason to play these games. From the various lines of your own character to the great lines from NPCs that further the story along, it is all great. It’s worth noting that in The Pre-Sequel all the characters have Australian accents, which in some ways makes sense as 2k Games Australia was the original developer and they utilized an all Australian cast. There are so many comedic references in each games dialog too, and with The Pre-Sequel many of them draw heavily on Australian culture, but even if you are outta the loop so to speak, they are still pretty funny. Sound effects and music wrap up a solid audio presentation, from the sounds of so many weapons, the sound of all the different environments and towns, to the sound of your character breathing in the airless vacuum of Eplis using your oxygen unit, it all helps to bring the game alive. I have to say that playing this game in surround sound is quite a treat as well. 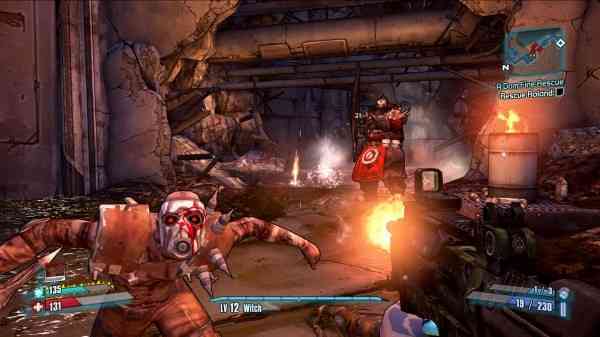 Borderlands: The Handsome Collection is a great game, plain and simple. Those new to the franchise will get to play two awesome games and all the associated DLC for one hell of a price, while veterans of the series should be able to find reason to visit the franchise again. Be it to experience the games in HD, play 4-player couch co-op with friends, or catch up on DLC they didn’t pay for the first time around, there are a lot of reasons to come back.